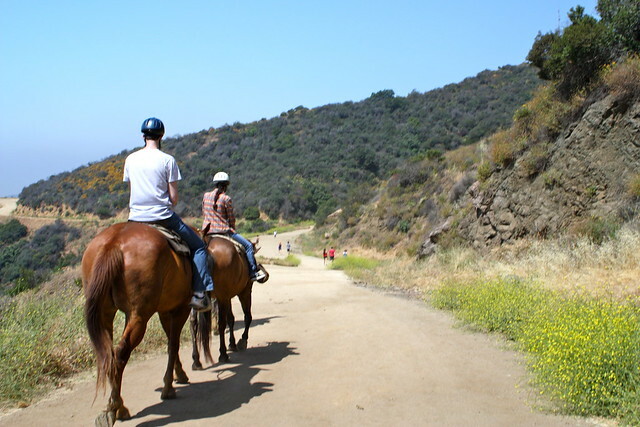 Get up close and personal with two of L.A.’s landmarks on this moderate 6.5 mile out-and-back in Griffith Park — the iconic Hollywood Sign AND the Batcave from the 60’s TV series “Batman.” This dog-friendly route is popular with local hikers, fitness buffs, and equestrians, and is a good way to tack a local workout into your hiking routine. This mostly shadeless route is rarely steep, but it does have a very steady incline for almost the entire route. Be sure to bring water – especially if it’s a sunny day – and watch out for rattlesnakes! 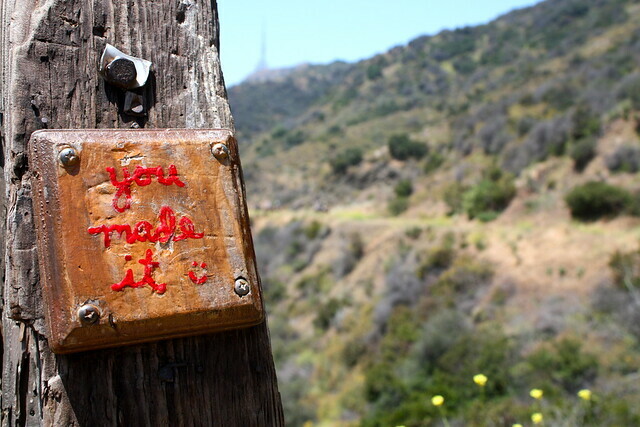 Let’s face it – eventually you or someone you know is going to want to hike to the Hollywood Sign. It’s sort of a right of passage for Angelenos and tourists alike. 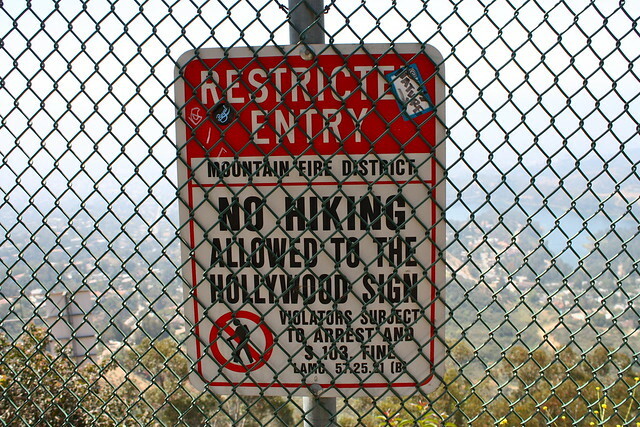 Although many people are confused and disappointed to learn that it’s not actually possible to hike to the Sign itself (a chain link fence and lots of security cameras prevent hikers from reaching the giant letters), this route takes you to the peak directly behind the sign for some beautiful views of the city and a day well-spent outside. 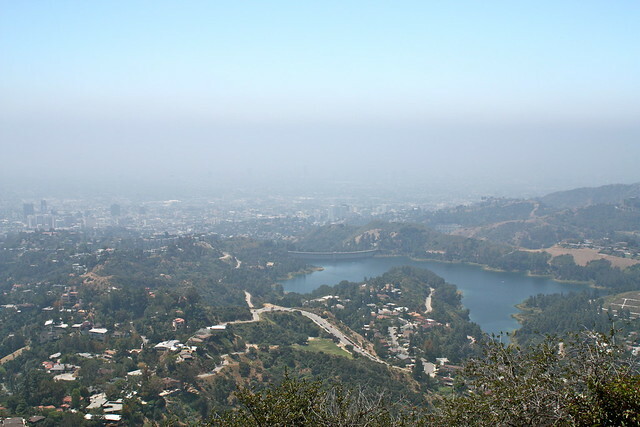 While this route is a bit lengthier than other approaches, it does avoid the contentious and – as of late – downright nasty access battle currently raging in the Beachwood Canyon neighborhood of Los Angeles. Residents there are upset that hikers were parking on narrow, winding neighborhood streets to access a public park on established trails, and have taken to hiring private security guards to block that access, post intimidating (and unofficial but official-looking) signs to discourage visitors, petitioned Google to remove directions from Google Maps, and have filed a lawsuit against the city to close those trails. 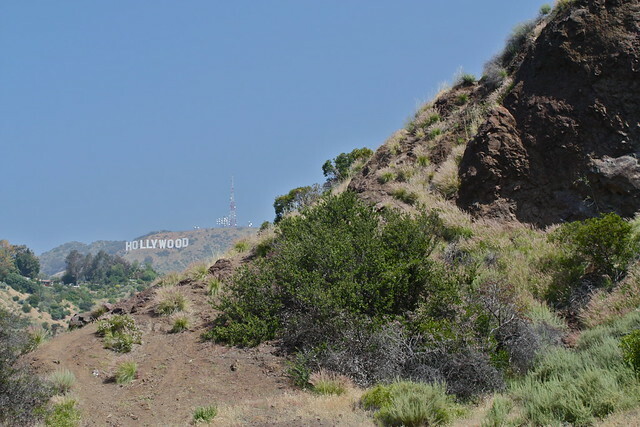 As of now, the gate to the Hollyridge Trail at the top of Beachwood Drive has been closed to pedestrian access by court order, effectively closing that entrance to Griffith Park. For now you can (and should) skip all that hullabaloo and head to Canyon Drive north of Franklin. At the end of this road inside Griffith Park, there’s a small parking lot near the gated trailhead as well as a larger spillover lot just a bit further south. Park here and hike north – but before you do, backtrack south a bit the gate, hang a sharp left onto a dirt road. 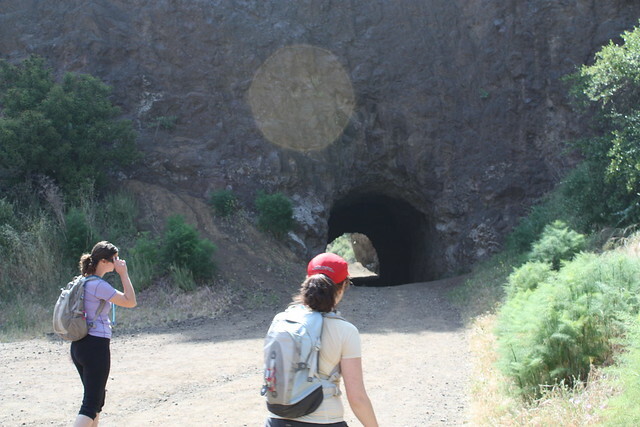 This is not on the route to the Hollywood Sign, but this very short side-trip will take you to another Hollywood landmark – the Bronson Caves – perhaps better known to most as the BATCAVE. 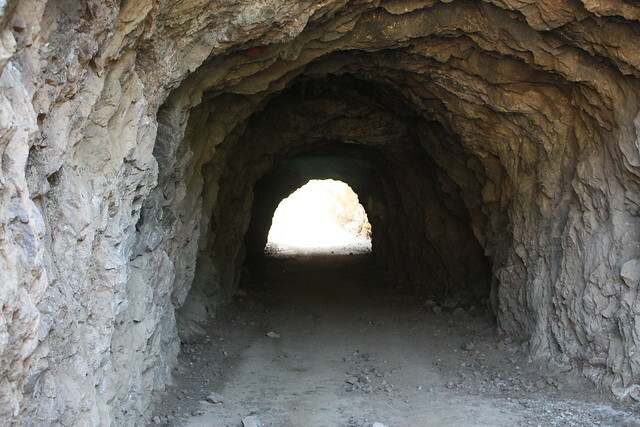 The Bronson Caves were formed by the Union Rock Company, which operated a quarry here from 1903 through the late 1920s. The quarry’s scars in the landscape are still visible as these sort of strange, unnatural amphitheaters (and, of course, the caves), and are especially clear when you view the region from above or on Google Earth. 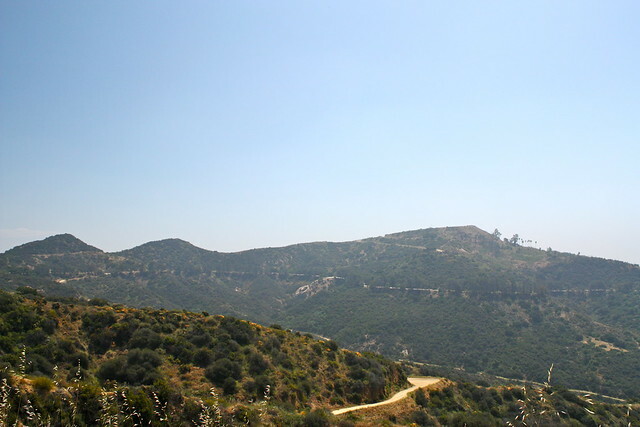 The area was originally named Brush Canyon, but became known as Bronson Canyon for the street in the nearby neighborhood. 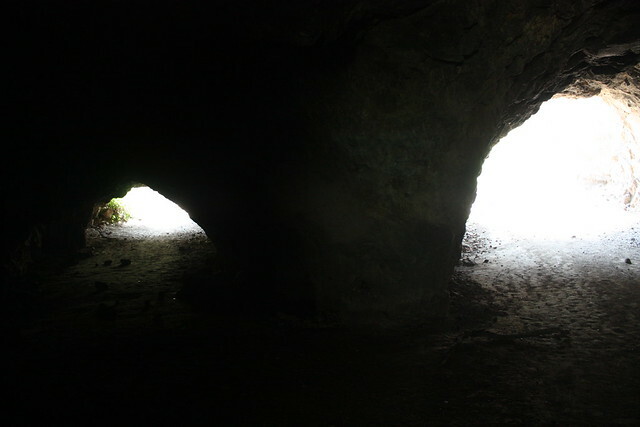 You can walk through the cave if you’re not claustrophobic. It’s very short, just be sure to stomp around a bit in case any rattlesnakes are taking a nap in there. 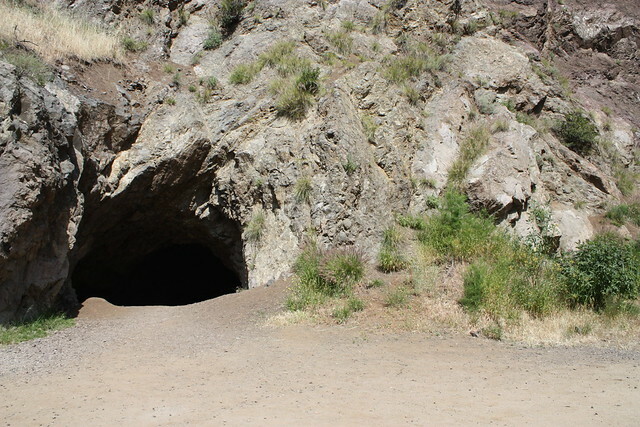 These caves are probably most recognizable from the 60’s Batman series, but they’ve also been used in a lot of movies, too, including films like Army of Darkness and The Searchers, one of my personal favorites. Return back down the dirt road and take a right at the pavement, passing the parking area and heading toward this locked gate. You are now on the dirt-path continuation of Canyon Drive. Here, the trail begins its moderate but relentless climb – about 600 feet in a mile. There’s a bit of shade in these early parts of the trail, but it’s few and far between – so if it’s hot or sunny, be prepared to sweat! Like I mentioned, this is a popular trail. You’ll be sharing it with joggers, dog-walkers, babies in action-strollers, hiking groups, boot camps, and equestrians. Be sure to give the horses ample room if you’re passing. 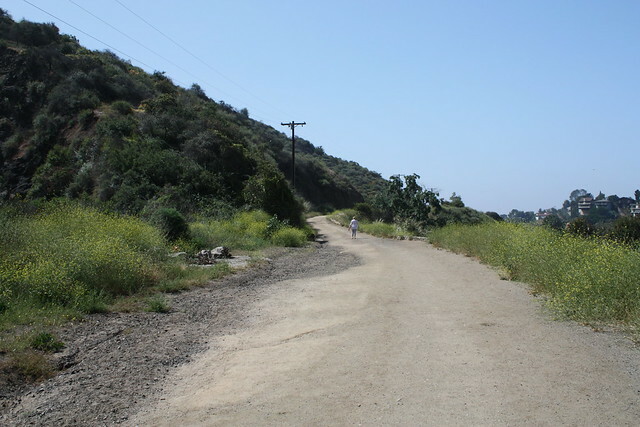 At about the 1.8 mile mark, you will reach a three way junction with the Mullholland Highway – another wide dirt path. Take a left at this junction and hike west. For the next 0.9 miles, the trail is mercifully level, although you’re still exposed to full sun. 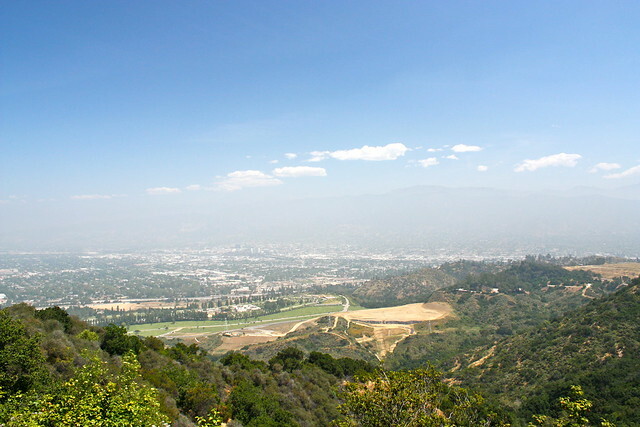 If it’s clear, you’ll actually have better views of the Griffith Park Observatory and Mount Hollywood to the east. At 2.3 miles, the fire road hits another 3-way junction with Beechwood Drive. 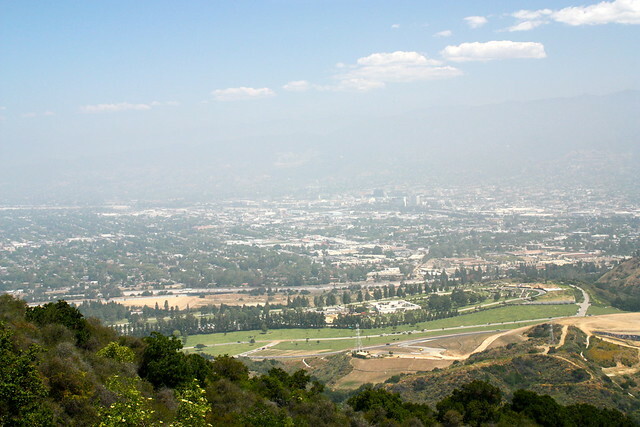 Keep to the right to stay on the Mullholland Highway and continue another 0.3 miles to another junction – this time with the paved Mount Lee Drive. 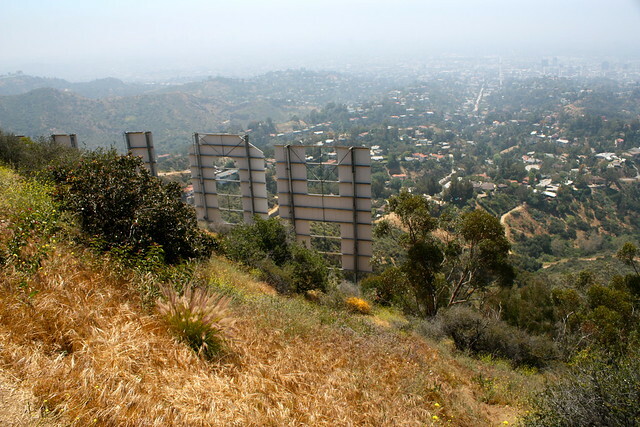 If you just want views of the Hollywood Sign, you might be better off taking a left here and descending a bit – but if you want to top Mount Lee and get behind the sign, take a sharp right onto Mount Lee Drive and start steep incline. 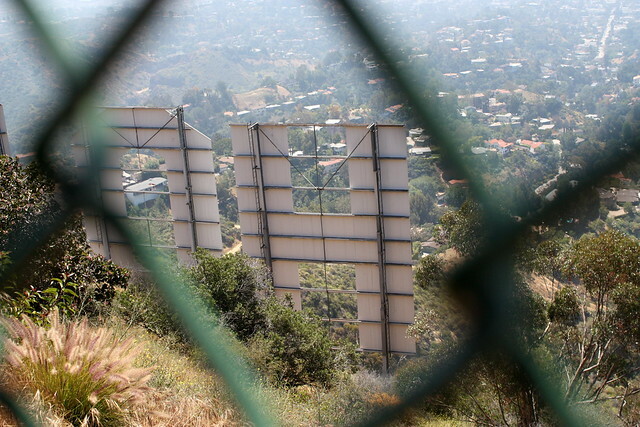 As soon as the road rounds a sharp bend to the south face of the peak, you’ll be able to see the Hollywood Sign behind the scenes – and through a fence. Even though you can’t get really close to the letters, it’s pretty cool to see them from this angle, and realize how big they actually are. Just to the left of the locked gate at the Mount Lee radio towers, there’s a short path that climbs to the actual summit of the mountain, just next to some USGS seismic monitoring equipment. 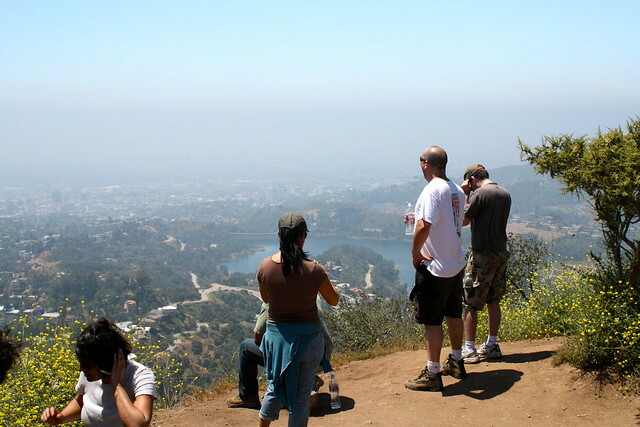 Soak in the views of L.A. and the Hollywood Reservoir from here, then return back the way you came. 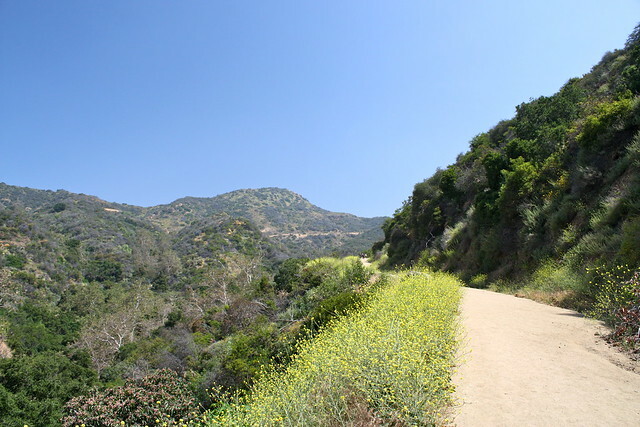 For an alternate route to the Hollywood Sign that’s shorter in distance but tougher in elevation and trail difficulty, consider tackling Mount Lee from the west via Cahuenga Peak. Good. Most of the trail is on well-maintained and well-traveled fire road, with a bit of distance on paved road, too. However, there is very little signage along the way, and none of the junctions are marked - so make sure you study up before you hit the trail. 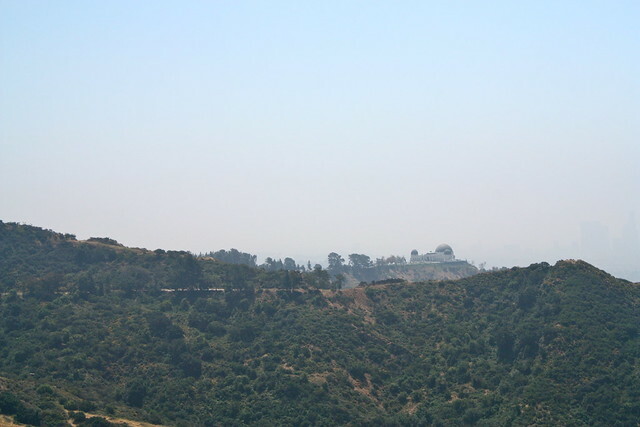 From the south side of Griffith Park, head north on Canyon Drive from Franklin Avenue. 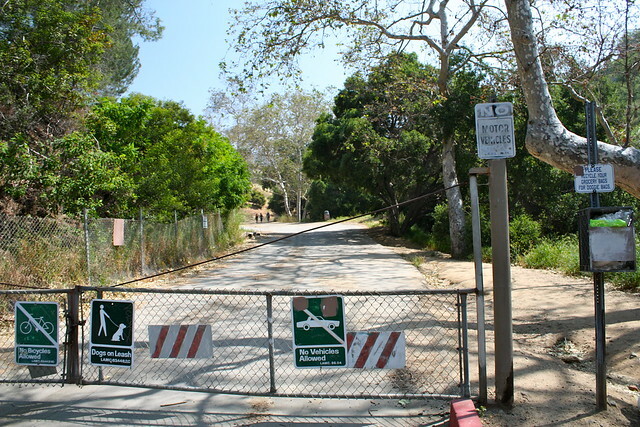 Once the road enters Griffith Park it's stopped by a locked gate at the trailhead. Park in the small lot at the trailhead, along the street, or in the spillover lot just south of the trailhead. Note that gates close for cars AND pedestrians near sunset. Don't get ticketed / locked inside! Me and my wife did last year. We are out of towners. 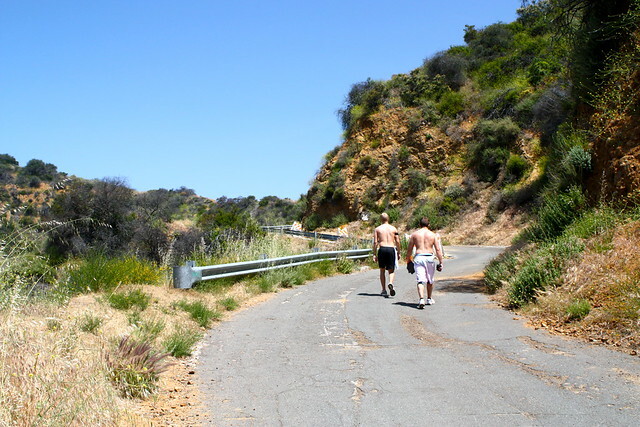 We parked on lake Hollywood dr., and took the "tree of life" trail up. Once at the wisdom tree you can head east towards the sign. I can tell you my wife barley got up to the tree. I was one of three I saw had to the sign. Everyone stopped at the tree because it's not easy. A group of us want to hike Mt. Lee and Cahuenga/Wisdom Tree the same day. Anyone have suggestions on how? The order, where to park, etc.? Insight would be appreciated! Is this hike still ok to do? Some are closed - i'm really confused! You know I came to Los Angeles last April 2016. It was a wonderful trip. However, we didn't see the sign from this view. We always regret it. We will definitely follow this post next time. Thank you! I would like to hike to the back of the Sign, as if it were a challenge since everyone tells me it's very difficult. I'll try to follow every one of your advice and hope to succeed in the end! Will I arrive by public transport or taxi, is it feasible? Thanks a lot! 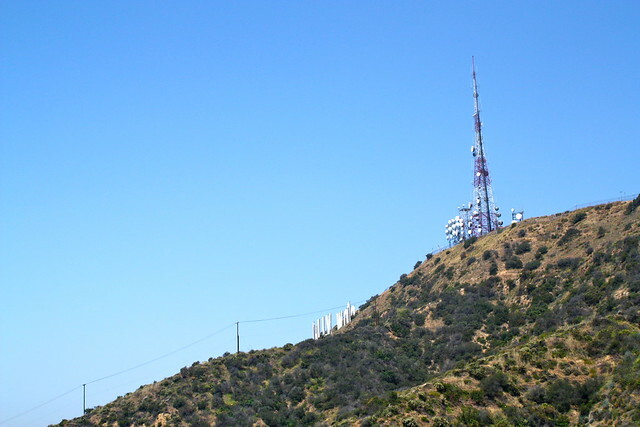 If you are looking for a good photo of the Hollywood Sign, there are other places you can go to get better angles (including the Griffith Observatory and the Hollywood Reservoir. If you want to hike to the back of the Sign, this is the easiest (although not the shortest) route. Bikes are not allowed on the trails anywhere in Griffith Park. Are bikes allowed anywhere in the trails?